Do you want to get a Windows app or ASP.NET site set up today? The year's top Windows web hosts are up to the challenge. To make your vetting process easy, we've compiled the following summary table. Be sure to note supported Windows-compatible software, performance stats, uptime, and price, in addition to our expert ratings. Looking for something other than windows hosting? Peer into the Windows web hosting world with us for a minute. Yes, pun intended. 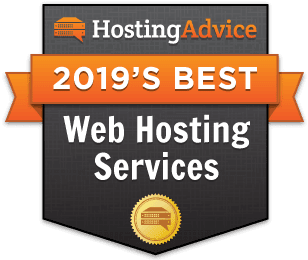 It’s 2019, and the number of niches within the web hosting industry is nothing short of mind-boggling. As you browse the top hosts, you can filter your search by server type, control panel preference, and, yes, even your choice of operating system. Web hosting reviews have become the à la carte, create-your-own menu of the tech vertical. As someone who likes having total customization control, I don’t mind it, but it can be daunting to many. Let’s discuss the best plans for Windows lovers a bit more in depth—delving into not only why we chose the shared hosts above, but also which providers are up to snuff to deliver made-to-order VPS, dedicated, WordPress, and even reseller Windows hosting needs. First, What is the Difference Between Windows and Linux Web Hosting? The difference between Linux and Windows web hosting boils down to the choice of operating system installed on the server. It’s that simple. Whether you choose to use Windows or Linux typically depends on what you’re hosting and what technologies you need supported. Windows hosting is pretty much exclusive to those who need to run Windows-specific software such as ASP, ASP.NET, Access, and Visual Basic. Linux hosting is a much broader audience. Our educated guesstimate: 96.2% of the time, you’re fine with Linux hosting. Only sign up for a Windows hosting service if you have a specific reason for doing so! When looking at this list and our reviews, it’s important to weigh quantity (cost) against quality (features) of the service. You can’t go wrong with any of the providers we’ve recommended, but, I will say, some are better served for certain customers than others. While we didn’t discuss virtual or dedicated server options for Windows users here today. Liquid Web excels at all things dedicated hosting. You’ll get access to top-of-the-line Windows servers, leading-edge security, and, of course, the always-on-call assistance of the Heroic Support® squad. One of the many reasons we love Liquid Web is the balance of quality performance and stomachable pricing. If you’re looking for a robust dedicated server on which to run Windows, Liquid Web is your best bet. Period. Most known for domain and email hosting, 1&1 has really ramped up its cloud server selection in recent years. We find this highly recognizable and well-reputed hosting brand to be a consistent deliverer of fresh innovation and sought-after services. Windows VPS hosting is no exception. Choose one of many affordable cloud servers equipped with a Windows operating system, and enjoy the many economical and infrastructural benefits of cloud-based Windows hosting from 1&1. If you’re looking for a Windows- and WordPress-specific hosting plan, I’m intrigued to know what project you’re embarking on! They’re both very niche software but popular ones nonetheless. Our recommendation for this particular combo is GoDaddy. GoDaddy servers boast 99.9% uptime, plans come with easy installs for all your favorite scripts, and the support is second to none since GoDaddy was acquired by Media Temple. The fact that Windows hosting is the rarer of the two OS-specific hosting types (Windows and Linux hosting) doesn’t mean it has to be a financial burden to have. We found a few of the web’s leading low-cost hosting providers also offer Windows plans. Let’s cover our favorite offerings for dedicated and virtual server needs. The free amenities that come standard with Liquid Web make the host a leading choice among dedicated hosting options. Starting with your choice of Linux or Windows operating system, Liquid Web brings a value package in dedicated hosting. You’ll notice the host touts free DDoS protection, industry-leading security solutions for your server, and a variety of storage, backup, and recovery options. If you’re looking for VPS hosting, you recognize the scalability and cost flexibility the cloud offers. Select a Windows OS for your 1&1 cloud server, and enjoy the competitive pricing for which the leading web host is known. You’ll receive plenty of RAM, full root access, and unlimited site traffic allowances. More power to you! While all three of the hosting providers above have datacenter locations scattered throughout the US, GoDaddy and A2 also have facilities based in Amsterdam and Singapore. Verdict: Is Windows or Linux Web Hosting for You? Have you made your selection? Like sitting down to the table at your favorite restaurant and getting hit with a bill of fare that more closely resembles a chapter book than a menu, deciphering niche hosting reviews can be a tad overwhelming. We get that. That’s why we’re here to help! Whatever your hosting need, we’re here for you at HostingAdvice.com.